Accessport with PDK Flashing for 997.2 Porsche 911 Turbo/Turbo S.
This Accesport allows users to tune both the Engine and Transmission control units in their supported 997.2 Porsche 911 Turbo or Turbo S.
This feature increases the lowest RPM at which the PDK will shift to the next gear in Normal and Sport drive modes. COBB Sport, COBB Aggressive, and COBB High Torque Aggressive maps raise the shift firmness to help reduce clutch slip. COBB High Torque Aggressive maps raise the maximum clutch pressures to help reduce clutch slip after shifting. 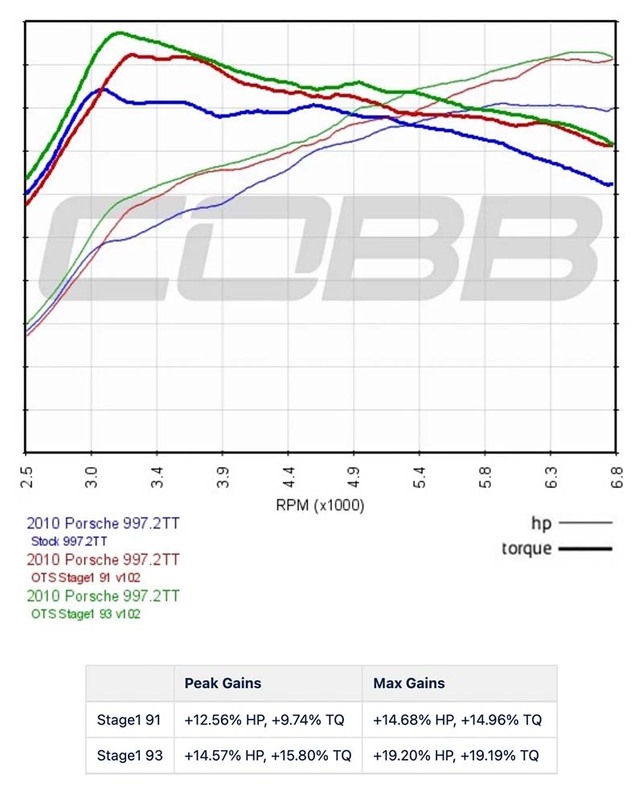 The COBB High Torque Aggressive map is typically used on vehicles that have an increased engine torque output of 50% or more over stock. A PDK relearn may be required when switching from this map to other COBB maps or uninstalling. PDK Relearn instructions are located below. 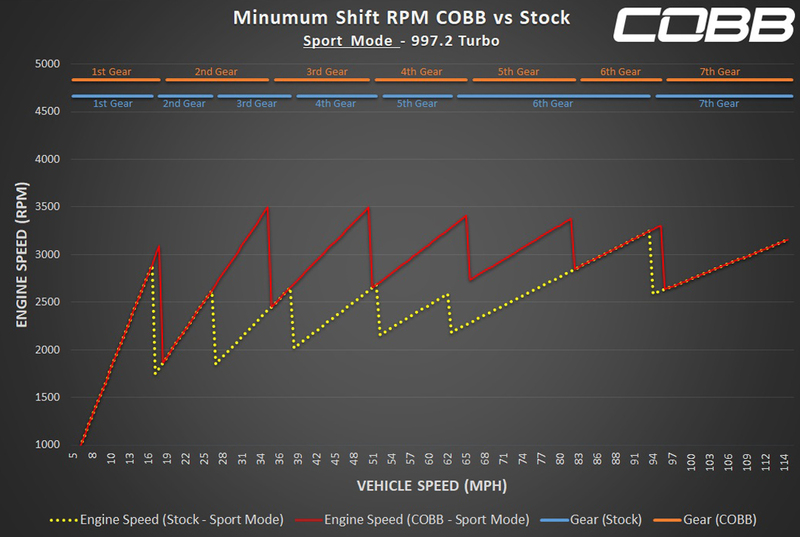 COBB Sport, COBB Aggressive, and COBB High Torque Aggressive maps decrease the RPM at which the clutch is engaged in continuous slip, generally between 1000-2500RPM. 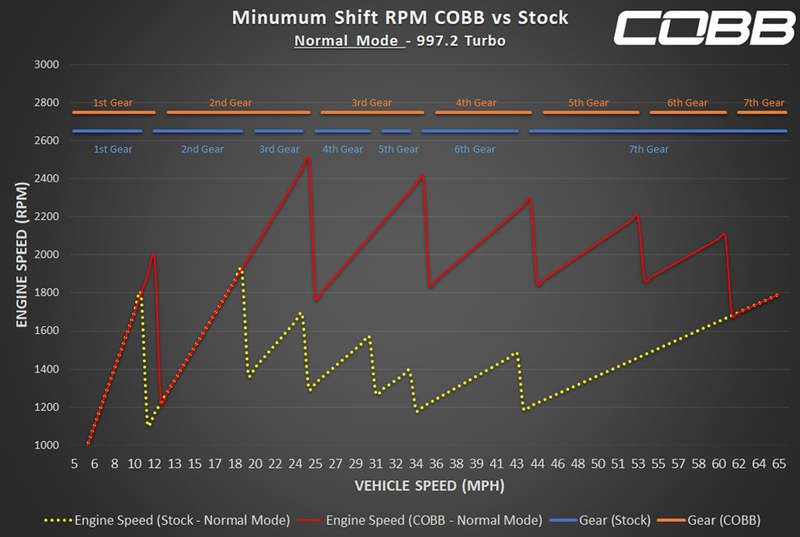 COBB Aggressive maps decrease upshift and downshift time. COBB Sport: Increased minimum shift points, shift firmness increased, and continuous slip decreased. COBB Aggressive: All COBB Sport features plus decreased shift time. COBB High Torque: All COBB Sport features plus increased clutch pressures.